Oxbow Bend, one of the most picturesque overlooks in Grand Teton National Park, is also an internationally-renowned place for viewing wildlife. Mangelsen carefully selects photographs of amazing landscapes, colorful abstracts and more to be enjoyed in this collection of Open Edition Art. 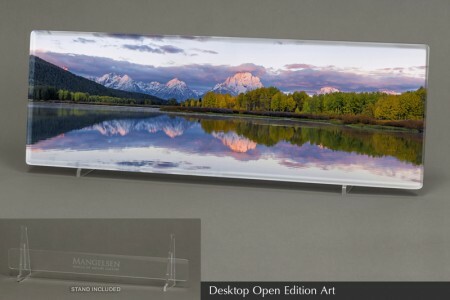 Available in a variety of sizes and display options, each piece will create the perfect finishing touch to your home or office décor. Mangelsen's signature is printed on the front of each piece in the collection. 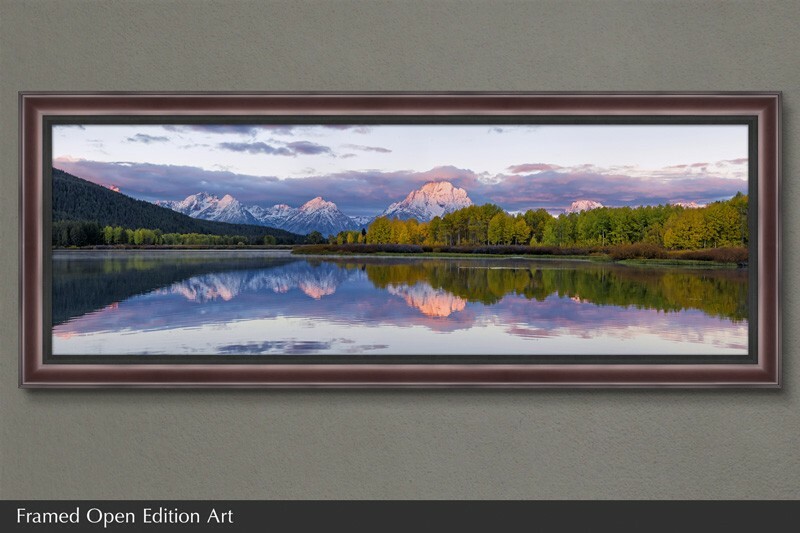 Framed Open Edition Art comes ready to hang with a quality finished frame and black liner. 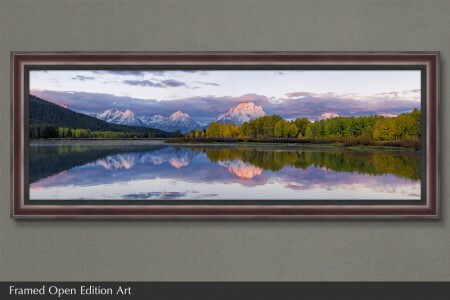 Framed Art images do not include glass or acrylic. 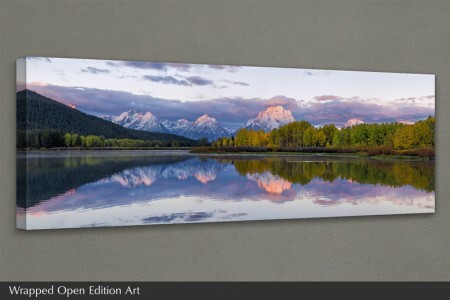 Wrapped Open Edition Art is printed on high quality photographic canvas and comes ready to hang. Desktop Open Edition Art includes an acrylic stand and will be ready to display in a wide variety of areas like a desktop, tabletop or mantle. Corporate pricing available. Contact us at 800-228-9686 or a gallery for a custom quote.